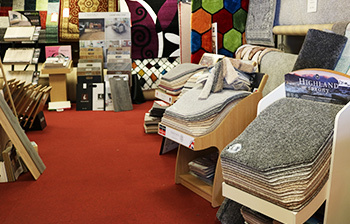 You can visit our store for viewing, help and advice in the Heart of Rugeley Town Centre @ 15 Upper Brook Street, Rugeley, WS15 2DP to see our carpet & laminate samples, plus a range of rugs for your home. Don’t forget if you’ve visited the store or the warehouse, we will also visit your home, bring samples, measure up and quote for anything you require. Our advisor will help you make the best choices dependent upon your specific needs. Leave it to one of our experts, we can give you options on style, comfort and durability at great value with our promise of skilled, quick and efficient workmanship. Our Customer service is second to none, coupled with great value for all of your flooring, wherever and whenever you need it. We aim to fit in with your schedule whenever possible, it’s not always possible to help out ‘last minute’, but we sometimes can. We don’t sacrifice our great value with a reduction in our workmanship, we are proud of our work. If you need a little more persuading, check out our reviews. We want to keep up our highly starred service. Excellent service from Craig carpets today couldn’t move a piece of furniture the guy couldn’t of been more helpful quick and professional. Price was excellent too will defiantly use again. In love with our new carpet! Thank you so much. You have done an lovely job at a really good price! 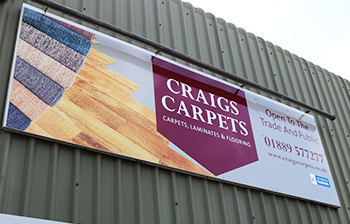 I have just had my whole house carpeted/laminated and I cannot recommended Craig’s carpet enough, fab service!! 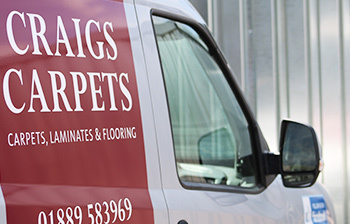 Outstanding service again from Craig's Carpets. Minor emergency and needed a new bedroom carpet fitting before a new bed is delivered. Ordered on Saturday, measured up at 08:30 this morning and fitted same day. Fantastic quality, and fantastic customer service. Clean & Tidy and looks amazing. I certainly won't be going anywhere else for my carpets. Thank you for our bed room carpet very happy, the service was brilliant and the young man who fitted it was very friendly and did a wonderful job.